The Keto Diet has become the new trend, with numerous successful weight loss cases surfacing. The Ketogenic Diet has now become a lifestyle. When one cuts out carbs from their diet, relying mostly on protein and fat, our body undergoes into a state of ketosis. Ketosis has a significant impact on increasing our metabolism and accelerating weight loss. However, it may seem difficult to stay committed to the Keto Diet as our diets are normally packed with carbs and empty calories. Most people start the Keto Diet, but later on, they begin integrating more cheat days into their cycles. Eventually, they all-together quit the diet. While the end goal is as tempting as ever, not everyone succeeds with the Keto Diet. The primary reasons include inaccurate consumption of carbohydrates, protein, fats, and the lack of motivation to see it through. If you’re doing to the Keto Diet or merely looking for tips, this article contains five tips that will help point you in the right direction! If you decide to do the Keto Diet, it may require frequent trips to the grocery store. As the diet demands different foods for consumption, it’s time to grab a pen and create an in-depth keto grocery list. With coconut oil being at the top of the list, this oil contains healthy medium-chain triglycerides (MCTs) which can be readily converted into energy and eventually into ketones. Healthy fats are your friends when you’re on the Keto Diet. 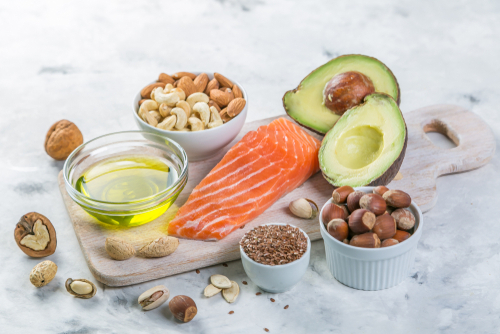 As healthy fats will account for most of the calories you consume on the Keto Diet, it’s usually wise to pick the most robust and highest quality fats. High-quality sources providing these healthy fats is a top priority. Therefore, to boost the state of ketosis, it’s best to opt for foods that are high in good quality fat for best results. Being on the Keto Diet requires full commitment and exercising restraint, as both of these are fully activated during fasting. Fasting can help you quickly reach the state of ketosis. However, this diet will require you to commit to a prescribed amount of fasting, no more no less. Only fast for recommended periods on time, or adopt a ketone-boosting approach with fat enriching. Performing physical activity while doing the Keto Diet will help you reach a state of ketosis fast. Integrating an exercise routine into your schedule, with both low and high-intensity exercises, will aid your body in ketone production. Exercise helps regulate blood sugar which in turn aids in maintaining the state of ketosis in your body. Exercise also improves other bodily functions to help you stay fresh, fatigue-free and most of all, committed. Getting results takes time, however, tracking progress on a daily basis is a must. To see results from the Keto Diet, track your daily progress and take a ketone level test. This test will evaluate three ketone levels in the body: acetone, beta-hydroxybutyrate, and acetoacetate. Taking this test will help you determine your Keto needs and make the right adjustments to your diet. Doing so will help you commit to the diet over the long haul. While the Keto Diet does impose certain calorie restrictions, the Ketogenic Diet offers a variety of positive health benefits and only requires from your end, commitment. Integrating just a few changes in your life can make all the difference! Moreover, as your commitment starts rewarding you in ways more than just the physical aspect, you will begin to function better and feel better as well!